With the holidays here and a new baby having just arrived my time is limited these days. Great hair is always something that I want to achieve but I want to be able to achieve it in the least amount of time possible. In order for that to happen I need products that are super-efficient in making my hair look great and style easily. 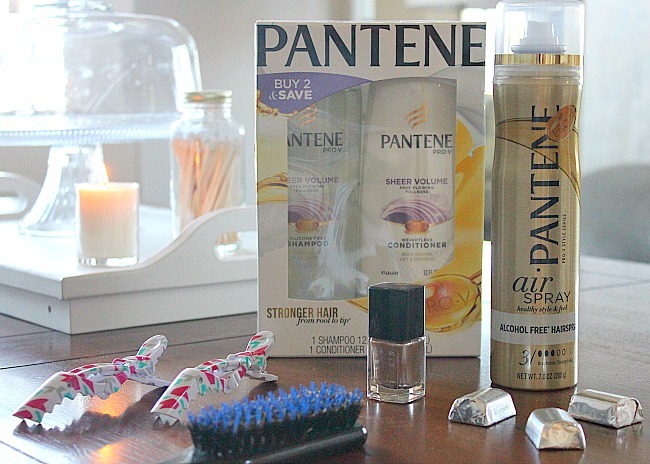 Thankfully products like Pantene Pro-VSheer Volume Collection fit the bill. Pantene Pro-V Sheer Volume Collection is a customized product line designed specifically for women who want full-bodied, thick hair. It helps to prep hair for an amplified look inspired by collagen, but it also provides manageability which allows you to create that great full-bodied style. 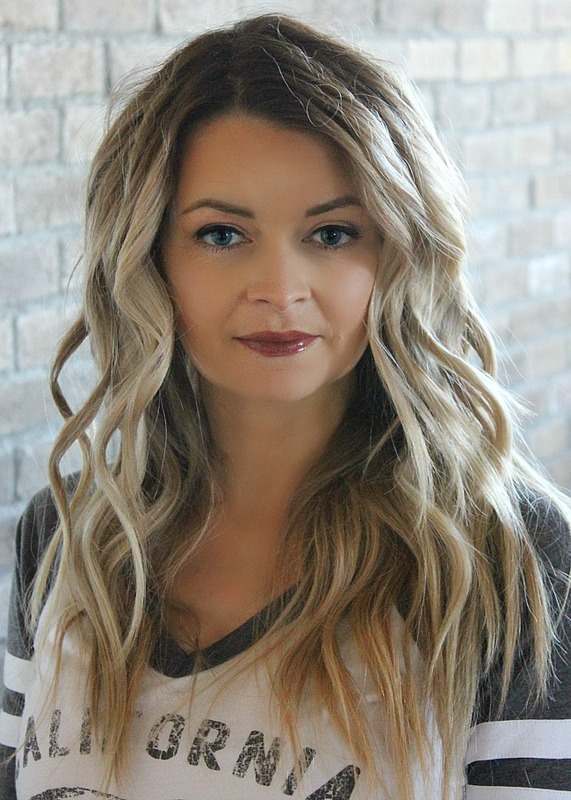 There are several products in this line that help reinforce the hair's structure for a full, healthy look thanks to lightweight ingredients for weightless body that lasts up to 24 hours. 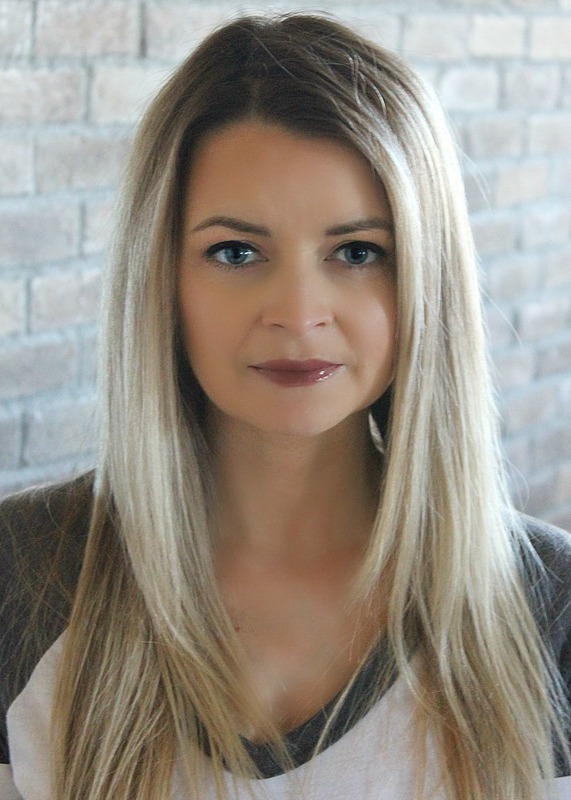 For my go-to holiday hair I used the Pantene Pro-V Sheer Volume Silicon Free Shampoo and Conditioner to help wash and condition my hair to prep it for easy styling. To style, I used the Pantene Pro-V Air Spray Strong Hold Hairspray to hold the curl and give it that extra amped look. Step 1: Begin with clean hair using Pantene Pro-V Sheer Volume Shampoo and Conditioner. Step 2: Section 2/3 of hair up with a clip. 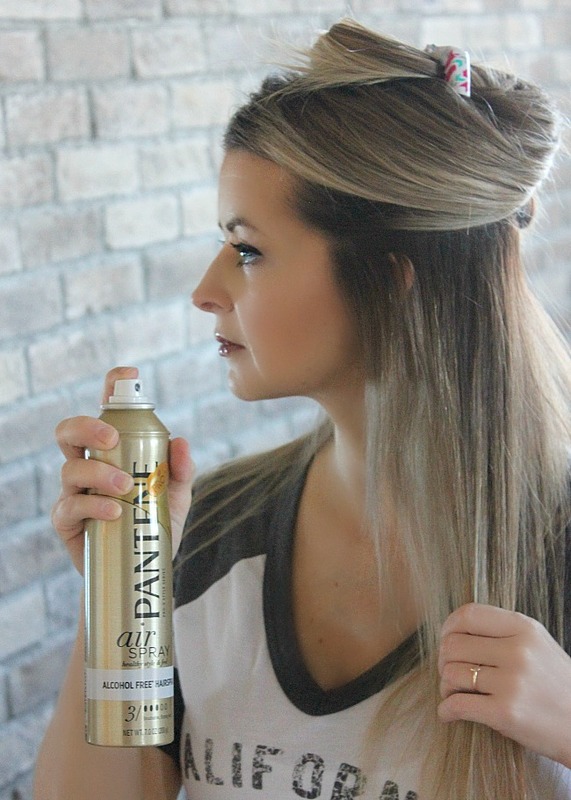 Spray hair with Pantene Pro-V Air Spray Strong Hold Hairspray. Step 3: Sse a small comb to tease hair at the root. Step 4: Using a large barreled curling iron, curl hair from root to ends while leaving the remaining 4 inches of hair uncurled. 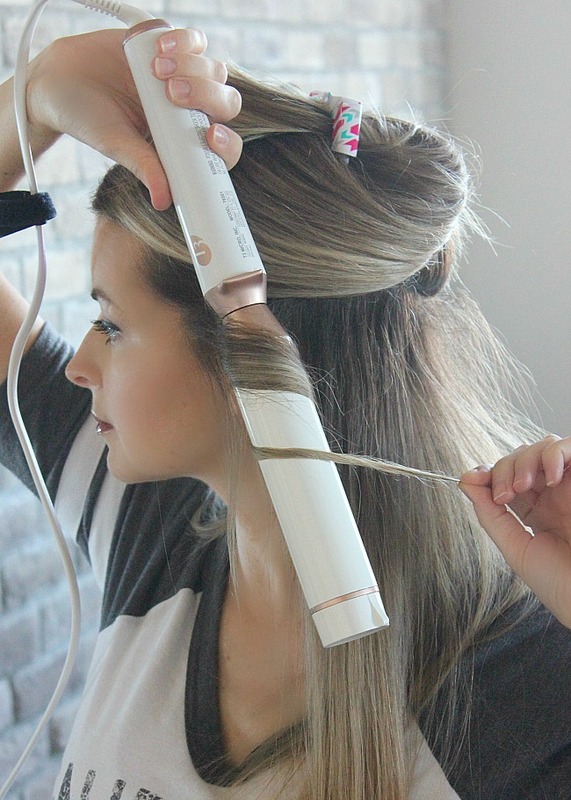 This helps create that "casual curl" look. Step 5: Remove 1/3 of hair from clip and repeat steps 2-4. Do this again with final 1/3 portion of hair. This is one of my favorite hair looks because it looks done without looking "done", and looks great all day and night. 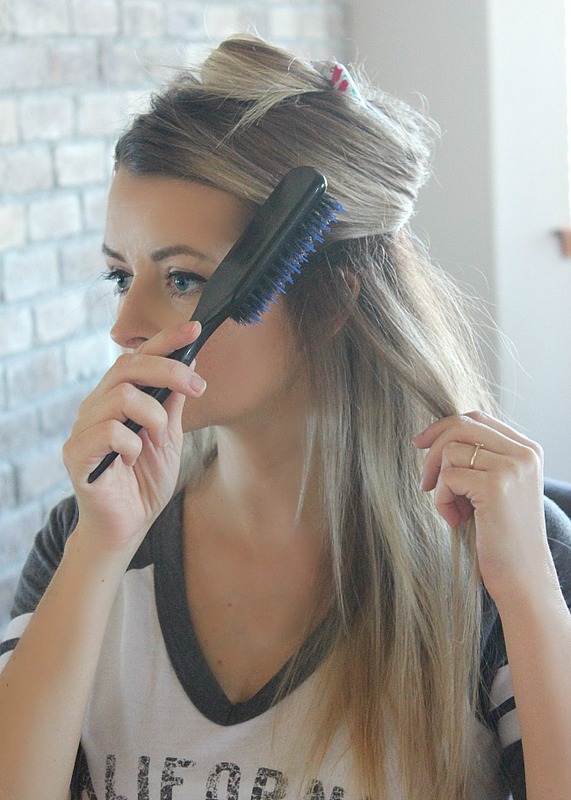 As the day wears on the curls loosen slightly to give it a great look. To pick up your Pantene Pro-V Sheer Volume products visit Amazon to order them easily.